Two UK commandos were killed in “friendly fire” when they were hit by an anti-tank missile ordered by their Danish counterparts in Afghanistan, an inquest heard. Capt Tom Sawyer, 26, of the Royal Artillery, and Cpl Danny Winter, 28, of 45 Commando, died in an explosion in central Helmand on January 14, 2009. The pair were killed on a rooftop close to Forward Operation Base Gibraltar, as they were providing fire support for an operation clearing Taliban compounds. The Javelin missile was fired by British troops under orders from a Danish lieutenant, who was not trained in the use of the weapon, during a joint operation in Helmand province. The missile itself was fired by former Lance Corporal Premkuma Sherpa, supported by Rifleman Bhaj Kumar Gurung, on the order of a Danish lieutenant, identified only as Soldier A, the inquest heard. The Danish army declined to attend the hearing. David Ridley, Wiltshire coroner, said Danish witnesses would give evidence via written statements. He added that Javelin in Afghanistan offered new opportunities in military operations and in pinpointing human targets because it was so accurate. 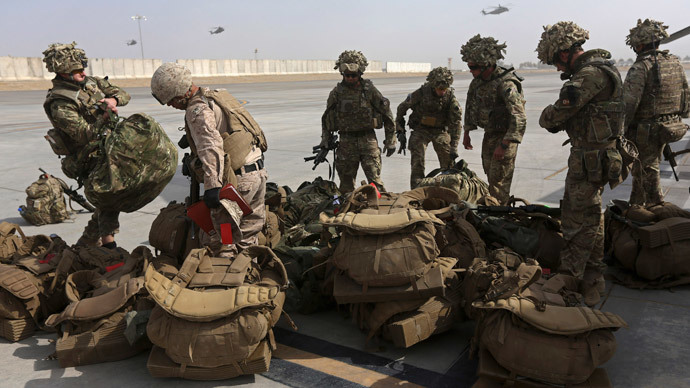 He said the troops were not given specific training for targeting personnel with the weapon and the training program had not been changed despite feedback from returning troops. The officer in command of the British servicemen was also on the rooftop. Giving evidence at the hearing, Lt Col Andrew Muddiman said: “I looked up and I think it's a flare but then I quickly realized it was a Javelin. “It impacts and I hear this enormous bang and then there was complete confusion. I was thrown into the air and I was absolutely convinced it was my last moment of life. Everything went black and when I came to I checked all my vital organs and realized I was injured. “It was clear where the weapon had come from.